Quinoa (keen-wa), called “Mother Grain” by the Inca, was cultivated for centuries in the Andes Mountains of South America. It has a unique nutty flavor and a slightly chewy texture. 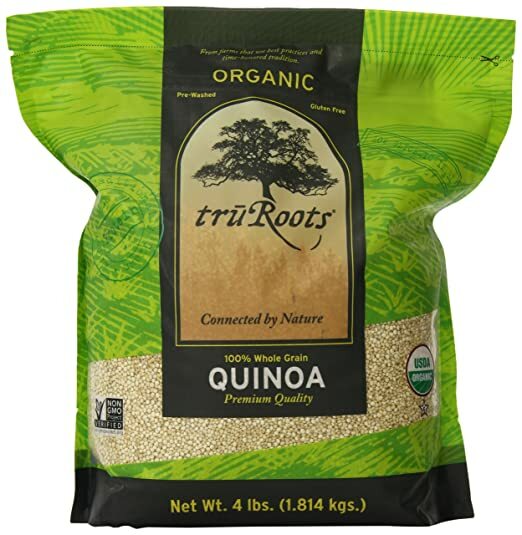 Quinoa has the highest amount of protein of all other grains, and an almost perfect protein quality. It is also a good source of phosphorus, iron, magnesium, vitamin A, vitamin E and the B vitamins. Quinoa is also gluten-free.*. Quinoa, (actually the fruit of the grain) is small and round in its uncooked state. When cooked, the grain bursts open and forms a “halo-appearing” circle around the grain. Thus, I was inspired to name my cook book, “Cooking With the Grain of Angels”. The recipes will be posted on this website, as they are developed. Please try them and let me know what you think.